Sweden and Belgium go head-to-head in Group E of Euro 2016 with both teams needing a victory to secure their qualification to the last-16 round of Euro 2016. Check out here our Sweden v Belgium betting preview with predictions, betting tips, boosted odds, expected line-ups, streaming links, bookie bonuses and no deposit free bets! After a 1-1 draw against Republic of Ireland in their first group E match, Sweden suffered a late 1-0 defeat against Italy last time out courtesy of a goals scored by Eder. The defeat has left the Swedes chances of qualification in doubt. A draw for Ibrahimovic & co. is unlikely to be enough to haul them into the third-place qualifying positions but they will clinch the second place with a win. Defender Mikael Lustig remains sidelined with a groin injury with Victor Lindelof in line to start at right-back once more. Marcus Berg could replace John Guidetti up front alongside Ibrahimovic. In midfield, Oscar Lewicki could be competing with Albin Ekdal for a starting berth. Belgium bounced back from the opening game defeat against Italy with a convincing 3-0 win over Ireland few days ago, thaks to a brace from Lukaku and a goal from Witsel. They will qualify as runners-up and face the winner of Group F if they secure at least a point in Nice. The last time these two teams met, Belgium picked up a 2-0 win back in 2014 and will hope for a repeat in the final game of Group E.
Belgium have two injury doubts with Mousa Dembele and Yannick Carrasco having to leave the match prematurely against the Swedes. Radja Nainggolan and Dries Mertens are the possibile substitutes should they miss the match. No other changes are expected to the side who beat the Swedes last time out, meaning that Romelu Lukaku will retain his starting berth in attack. 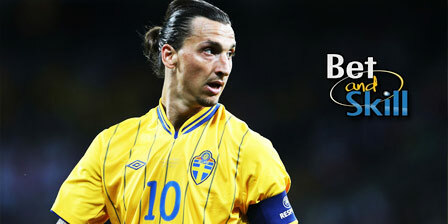 Sweden (4-4-2): Isaksson; Lindelof, Johansson, Granqvist, Olsson; Larsson, Lewicki, Kallstrom, Forsberg; Berg, Ibrahimovic. Belgium (4-2-3-1): Courtois; Meunier, Alderweireld, Vermaelen, Vertonghen; Witsel, Nainggolan; Ferreira-Carrasco, De Bruyne, Hazard; Lukaku. "Sweden v Belgium predictions, betting tips, lineups and odds (Euro 2016 - Group E - 22.6.2016)"